Online stream anime episodes, Watch Naruto Shippuuden Episode 109 English Subbed online and free episodes. Anime Episode guide, Chapter Naruto Shippuuden Episode 109 English Subbed Counterattack of the Curse Mark The Sealing Team prepare to contain the Three-Tails again, and tell Sai to take Yūkimaru somewhere safe, but he is attacked by Kabuto’s men. Rinji finds them, but they decide not to work for Orochimaru anymore. They suddenly begin to suffer side effects from their powers, and Rinji gives them an antidote after making them promise to not betray him. 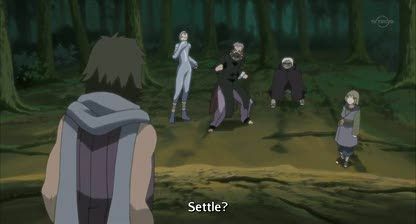 The Sealing Team is attacked by Rinji’s men, but are defended by Kakashi, Yamato and Shino. Rinji makes Yūkimaru eat more pills to control the Three-Tails.